Russian Poseidon nuclear-powered and unmanned underwater vehicle the underdevelopment. Poseidon ''God of the Sea'' is a Putin’s showpiece! This feared weapon was first revealed in 2015. Poseidon is a nuclear-powered and unmanned underwater vehicle one of Russia's 7th generation nuclear weapon capability—is nicknamed the "Tsunami Apocalypse Torpedo" It is designed to travel autonomously across thousands of miles undetected to deliver a devastating blow on enemy coastal cities, industrial infrastructures and military strategic bases by generating some tsunami-like tidal waves for an ultimate destruction. In the territories where the sea is heavy protected from a potential enemy’s reconnaissance and naval defense, Russian Force still running trials of such events. The report was given via Russian defense news agency,TASS. About underwater tests of its Poseidon thermonuclear torpedo. The source also said the “the reactor is installed in the hull of the drone but the tests are being held as part of experimental design work sea at this stage. A succession of news and reports have written wildly in media supporting either side of two opposition about Poseidon’s capabilities. The Poseidon is an 80-foot-long nuclear-powered submersible robot that is essentially an underwater ICBM. Weighing perhaps a hundred tons, Poseidon is the largest torpedo ever being developed, 30 times the size of a heavy torpedo. In fact, the torpedo is so big it can be carried only by special-designed submarines. And powered by a miniature nuclear reactor, this apocalypse torpedo has unlimited range. Unlike an ICBM or new hypersonic missiles, it would take Poseidon hours or even 4 days to reach its target at some thousand miles. On the other hand, it would bypass current missile defenses. Because of this, Poseidon—at least according to the Russians— is unstoppable. Where the name Poseidon came from? Poseidon pronounced [pose͜edɔ́͜ɔn] was a Greek mythological ''God of the Sea'' and other aqua dimensions according to ancient religions Poseidon is equivalent to Roman Neptune. Poseidon was protector of Hellenic cities and believed he can creates a up-surging sea gales (tsunami) if provoked. The legendary name was chosen during the Web contest held by Russia’s Ministry of Defense. Some analysts asked why Russia would choose to nuke an enemy city with an underwater drone – that allegedly travels 100 miles an hour – when an ICBM can do the job in 30 minutes. Russia suggests that Poseidon is a retaliatory weapon of choice that would revenge a U.S. first strike even if American missile defenses were capable of stopping hundreds of Russian ICBMs. But even in the unlikely event that the U.S. could intercept 500 or more Russian ballistic missiles, a delivery system that could take days or weeks to reach its target seems hardly an efficient deterrent. Watch: The video of nuclear-powered, nuclear armed and unmanned underwater drone. More intriguing is the suggestion that Poseidon could be used against U.S. aircraft carriers. A very fast, nuclear-armed drone could prove difficult for American anti-submarine defenses to stop. 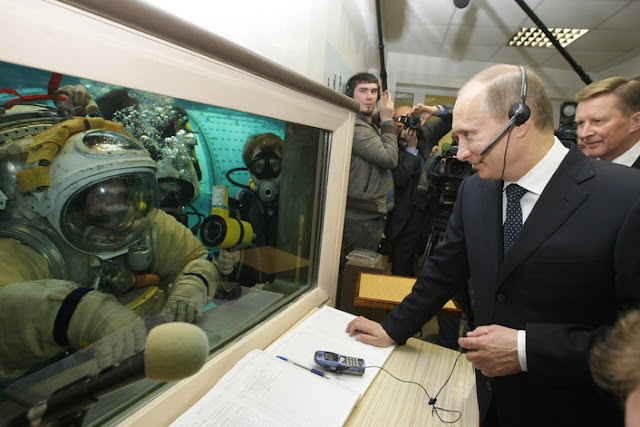 In a March 2018 speech , Russian President Vladimir Putin described his nation as being able to “move at great depths -- I would say extreme depths -- intercontinentally, at a speed multiple times higher than the speed of sound, with cutting-edge torpedoes and all kinds of surface vessels, including some of the fastest. It is really fantastic. They are quiet, highly maneuverable and have hardly any vulnerabilities for the enemy to exploit. There is simply nothing in the world capable of withstanding them.” Putin added that Poseidon’s “nuclear power unit is unique for its small size while offering an amazing power-weight ratio. 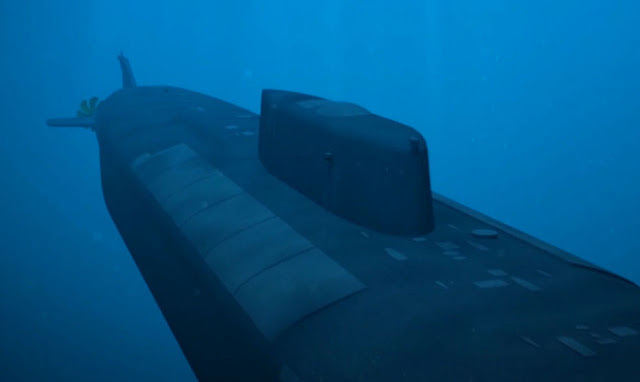 It is a hundred times smaller than the units that power modern submarines, but is still more powerful and can switch into combat mode, that is to say, reach maximum capacity, 200 times faster.